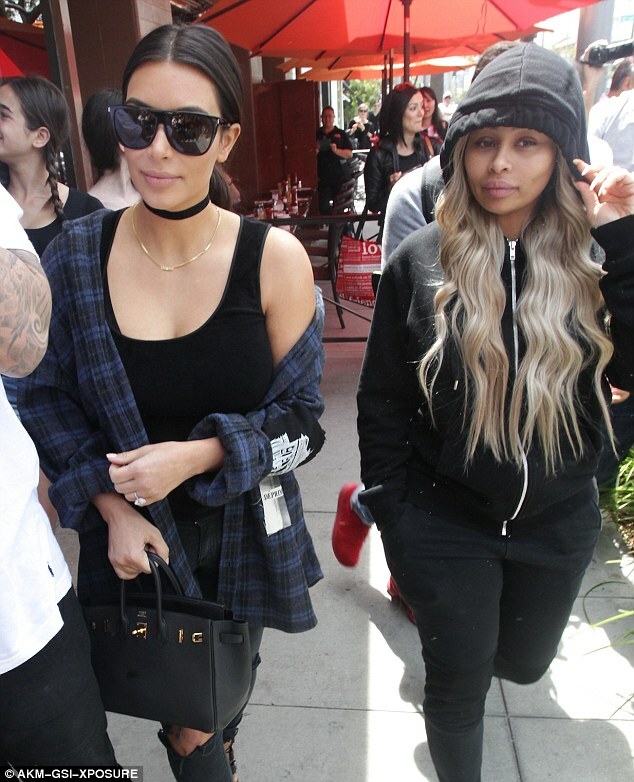 Welcome to the Family!Kim Kardashian steps out with brother Rob and Fiancee Blac Chyna.. 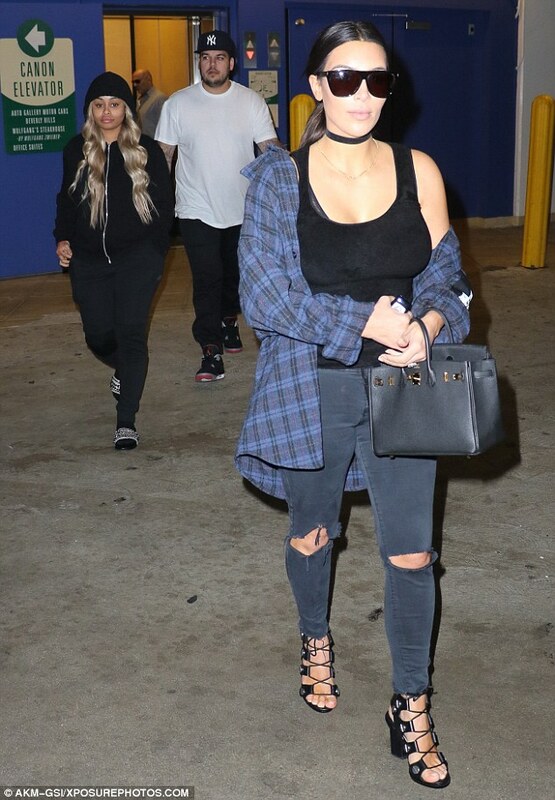 But it may well seem the Kardashian Family have indeed accepted Blac as Rob's wife ohh well soon to be wife. 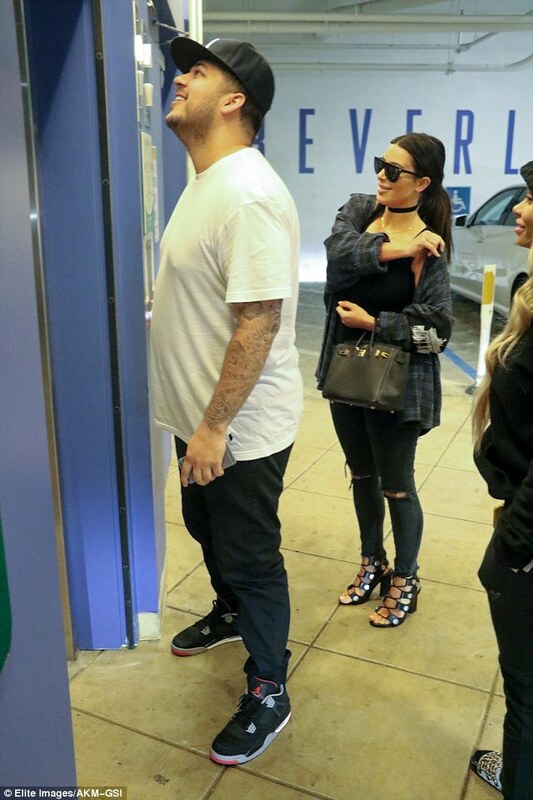 She seems to have really helped him out of his depression, encouraged him to lose weight and has began to step out more often. 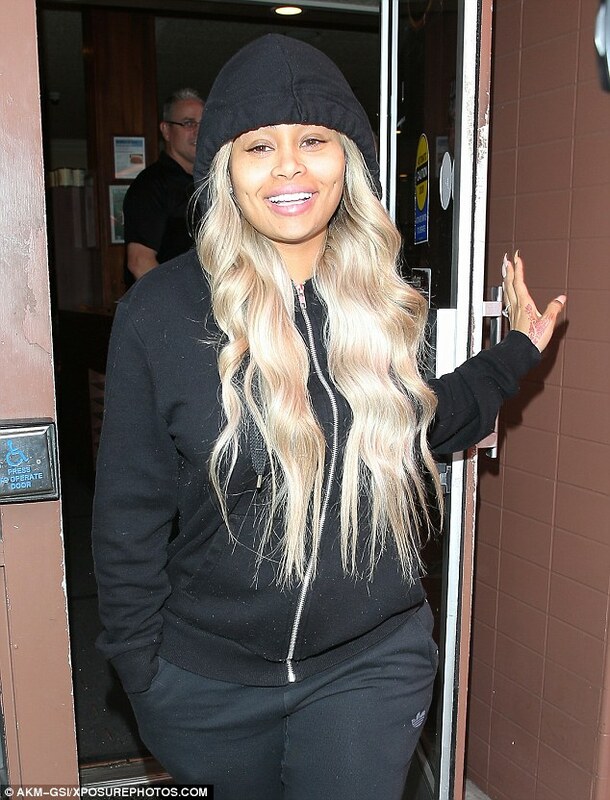 The 35-year-old reality star and the happy couple put on a united front as they stepped out and about and trust the fans and the paparazzi to key in on the moment. More selfies with the queen of selfies! Kim and Blac indeed have a lot in common I mean who has a bigger bum?! Lol..
Waohhh they even share a laugh! or a chuckle? or a smile? share the joke Ladies! Ohhh look who's smiling?! Blac is deffo growing on me! 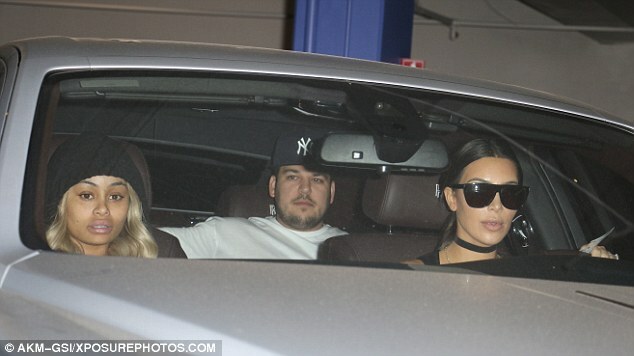 she seems like a really sweet person beneath it all..
And then they all headed home in Kim's car..
Am sure this may have been for the paps yea the Kardashians know how to get in the news,lets just show up and the headlines will be LIT! BUT!we cannot but applaud this family they keep reinventing and rebranding to make their ratings continue to soar and the cash continues to pour,I say Kris Jennershould start a school on Branding she is indeed a Genius!